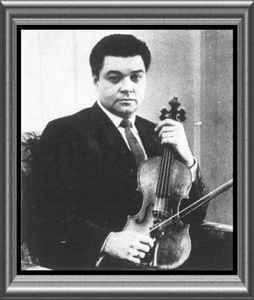 Born 1932, in Toronto, Canada, of Ukrainian parents, was a distinguished violinist, as soloist, teacher and concertmaster. Came to prominence when chosen by Sir Thomas Beecham as concertmaster and soloist of the Royal Philharmonic Orchestra, at age 24 was the youngest musician, at that time , to fill the dual role. Other posts included: Professor of violin at Amsterdam Conservatory, 1st. concertmaster of the Concertgebouw Orchestra and Amsterdam Chamber Orchestra, Professor at Northwestern University and American Conservatory, and concertmaster of the Chicago Symphony.